The game is currently available on Steam as a Early Access Game. “We are excited to move forward to the current generation with MX vs. ATV Supercross Encore comments Roger Joswig, Producer at Nordic Games. 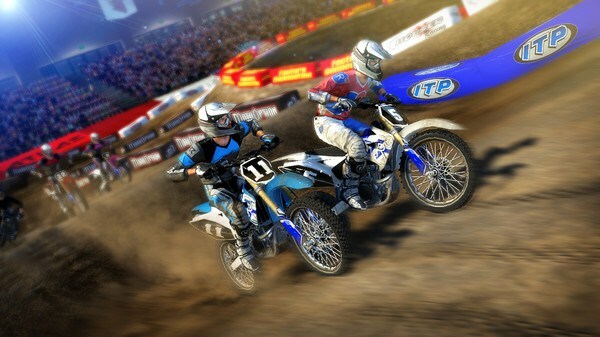 “Today, we’re happy to announce Supercross Encore is coming to the latest generation of consoles. The power of these new systems means: more detailed bikes, brand new gear with high res textures, other graphic improvements, as well as a higher frame rate for a more fluid feel. We’re excited to bring our newest instalment of MX vs. ATV to our fans,” said Ken George, Executive Producer at Rainbow Studios.